Healthy, unusual and very tasty. Most people I spoke with have never heard of this combination, but nevertheless, it exists and is an essential part of a Shravani Somwar meal. 1. Heat the oil in a sauté pan. Add cumin seeds and wait till they crackle. 2. Add in the onion and sauté till it turns pink. Add in the peas and chopped ride gourd. Add in the spices and salt. 4. Sprinkle with grated coconut and mix well. Serve hot. Sambhar masala is unique to the Pathare Prabhu community. You could use cumin-coriander powder as a substitute but it does alter the taste. 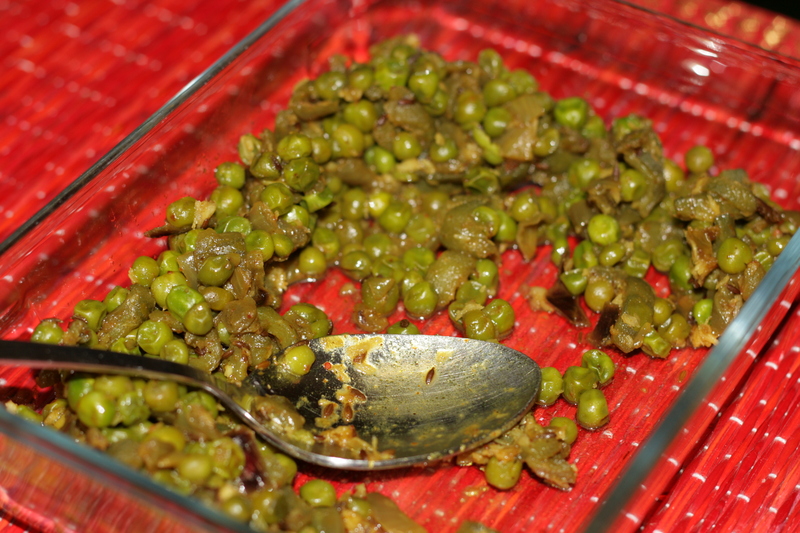 This entry was posted in Seasonal Veggies and tagged epicurious, Pathare Prabhu recipes, peas, ridge gourd, ridge gourd and peas, shirale, shirale-vataane, turai, turiya. Bookmark the permalink.